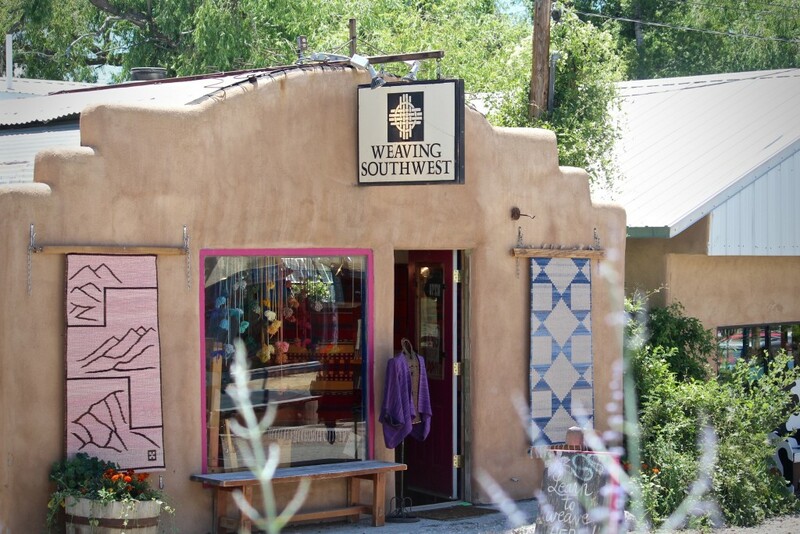 Weaving Southwest has a vibrant history in northern New Mexico that has influenced weaving traditions far and wide. I recently took advantage of this treasure trove of experience in a class taught by Teresa Loveless, the granddaughter of Weaving Southwest pioneer, Rachel Brown. I hoped to sharpen my tapestry skills by learning a fresh approach, and I was not disappointed! Teresa’s attentive teaching style brims with encouragement, making every student exceed their own expectations. Weaving Southwest in Arroyo Seco, New Mexico. Fast forward twenty years. What would you like to be known for? 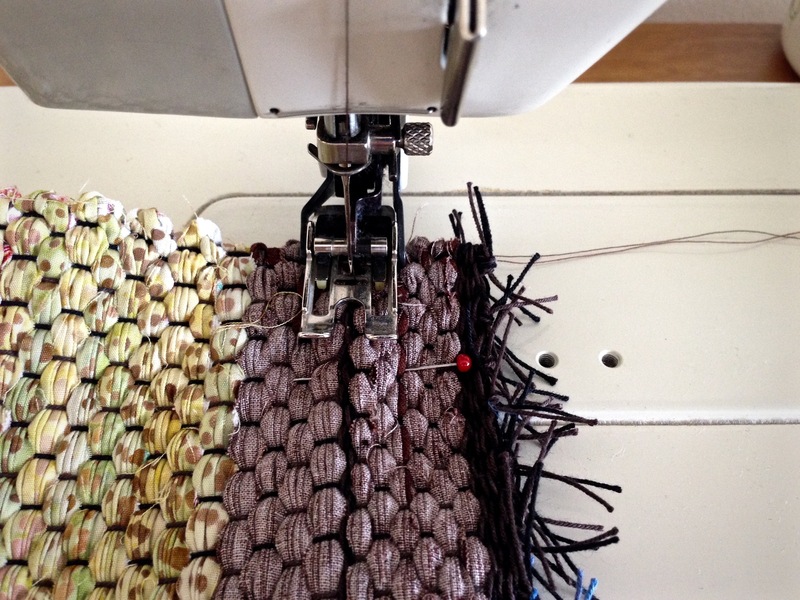 I have an interest in preservation of culture, and seeing that carried out through textiles. Preserving culture through textiles worldwide is a hidden passion of mine, and I’m working on ways to make that happen. This sounds like a big dream. Yes, it is a big dream that I have given a lot of thought to. With modern technology there is great potential. Technology makes it possible to pick out every little niche of fiber in the world and pull it all together in a classy and educational way. 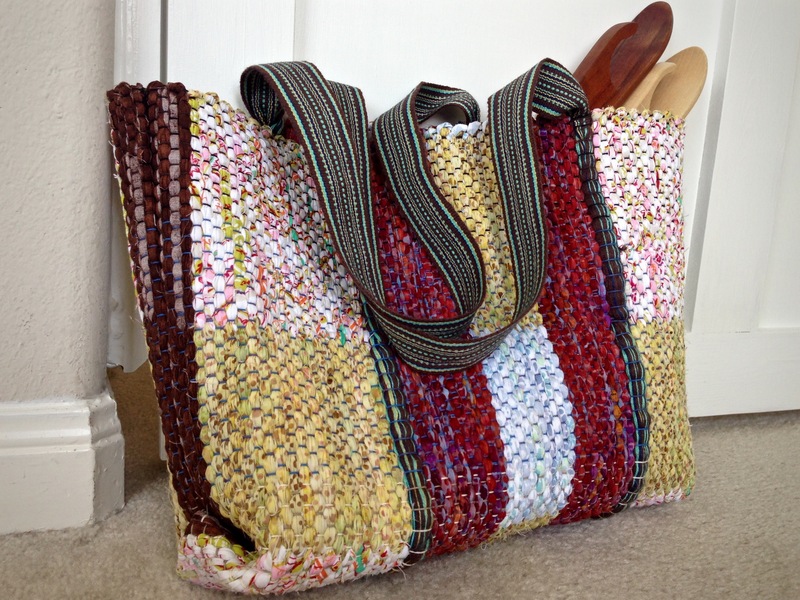 What can be done to preserve cultures through textiles? You could go to little villages or communities, and through today’s technology, bring them all together and preserve entire cultures. In Before They Pass Away, photographer Jimmy Nelson documents some of the most secluded tribes in the world. And he put them together in an incredible photo book, with their beautiful textiles draping all over them. That book was part of the inspiration for my dream. Your grandmother taught you how to weave; and your mother taught you jewelry making. And now you are passing weaving on to your very young daughter. What are your thoughts about people passing what they know on to their children and grandchildren? I grew up in this family of artists and inventors, and they were weavers and jewelers and everything in between, and I did it all. I wove and I made jewelry. It was normal. It was my life. 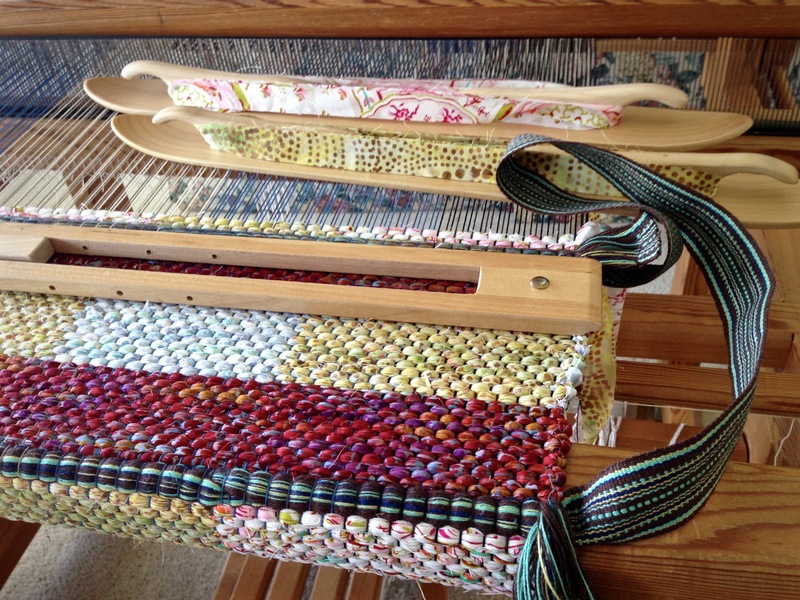 When I went away and realized that not everyone brought their loom to college, or that making a silver ring is not something everybody can do… that was eye opening. For me, it is all about passing it along. Teach your kids to do what you do. Even if they think they’re going to go off and do something else. I was going to go be a scientist. And then I came back. Clearly, I’m not a scientist. I’m a weaver. Because it was passed on through my family, and because of my incredible grandmother, I am able to help preserve culture. 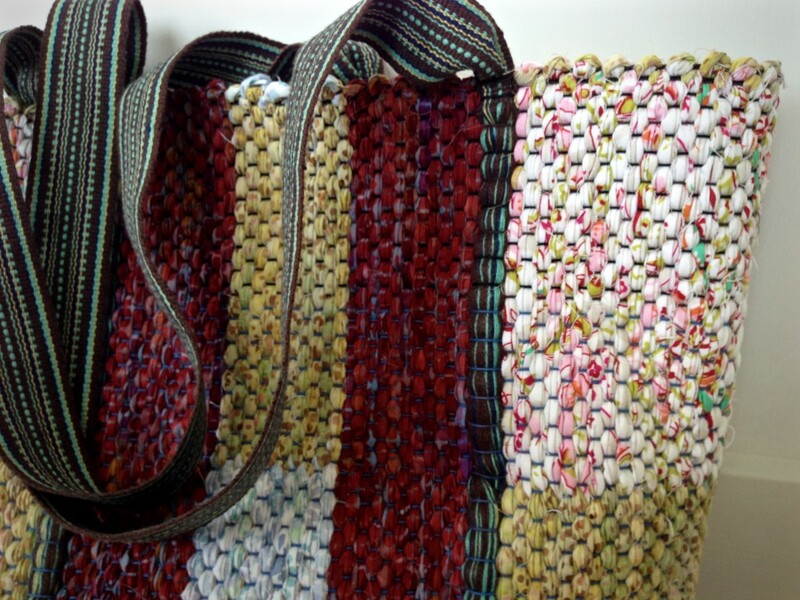 I am helping to preserve beauty through textiles. What about your daughter, do you think she will become a weaver? Pass on the tradition, pass on the skill, and pass on, hopefully, the love for it. But my daughter loves bugs more than she likes yarn right now, so maybe she’ll be the scientist, who knows? 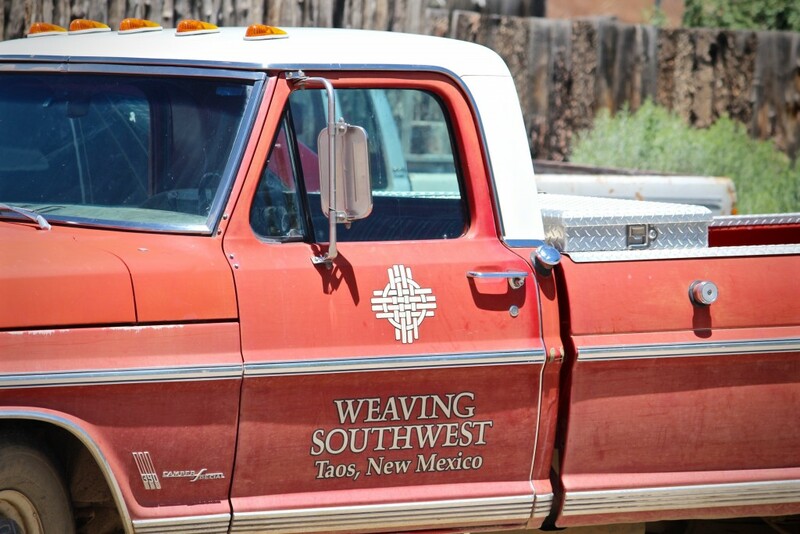 Weaving Southwest pickup truck depicts the down-to-earth approach of the shop. Highly accomplished, yet unpretentious. I’m doing it here, like the class we just finished. I love teaching. I love being able to share what I know, what was passed on to me. It doesn’t matter how much someone knows or doesn’t know when they come. 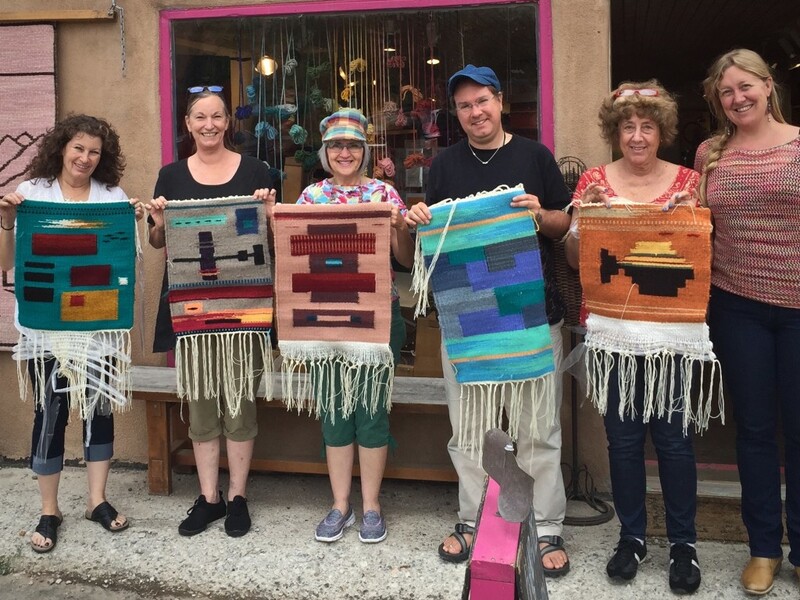 From afar, weaving does look a little confusing, but if you get the feel of it, if you understand the warp and weft and structure… Oh, the things you can do! You enjoy simplifying things for people, don’t you? That’s it, definitely! It doesn’t have to be hard. 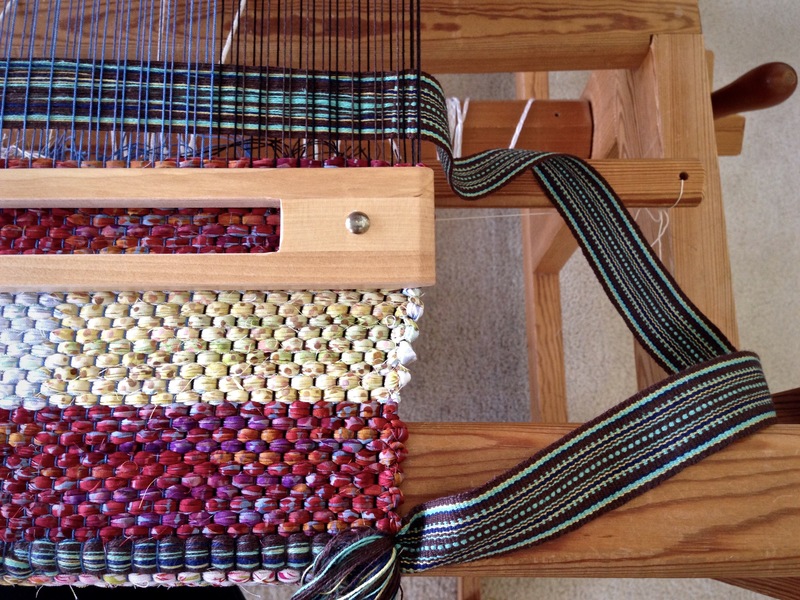 There are all sorts of technical terms, but weaving does not have to be difficult. Seeing people blossom, from, “Oh my gosh, which is warp, which is weft?” Or, “Do I do a single dovetail here?,” to realizing you can do a single dovetail wherever you want, …but you don’t have to. There are so many options. If you go into it with confidence you’re going to be able to produce incredible work! Oh, yes. When I see my students happy, then I’m happy! Thank you for taking time with me. It has been fun to get to know you more! 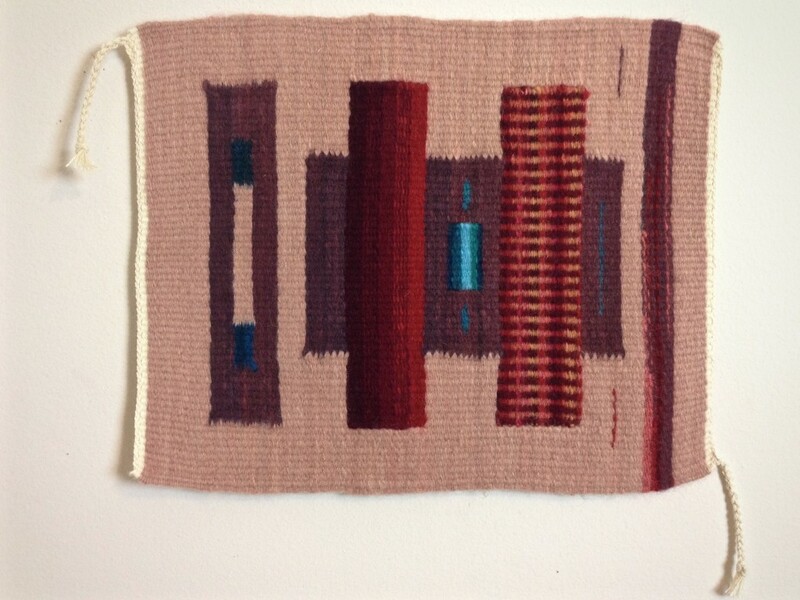 This study in verticals is hung horizontally just above the work table in my weaving studio. Makes me smile. I love this post, I hope you had a wonderful time. It sure looks fun, I’ve never been to New Mexico, but maybe I will have to go someday soon. I am wondering about your recent post about linen scarves, I have been watching for an update to see how they came out after you washed them. Did I miss that one or is it coming up sometime soon? Love all your posts and wait for them to come up in my inbox! Liberty, you are so sweet! We did have a wonderful time. 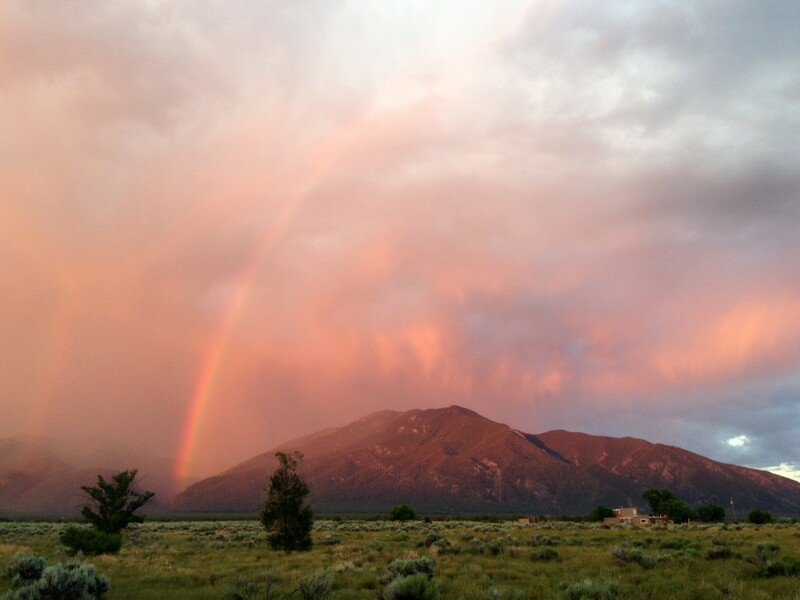 New Mexico is worth the visit. You will see interesting landscapes with color that shifts according to the weather and time of day. Thank you for asking about the linen scarves. You haven’t missed anything. I have a few “irons in the fire” right now, and the linen scarves are in the queue. You might see them next week. It’s really great to know you keep coming back! In warp-faced weaves, like this band, the warp is what you notice. 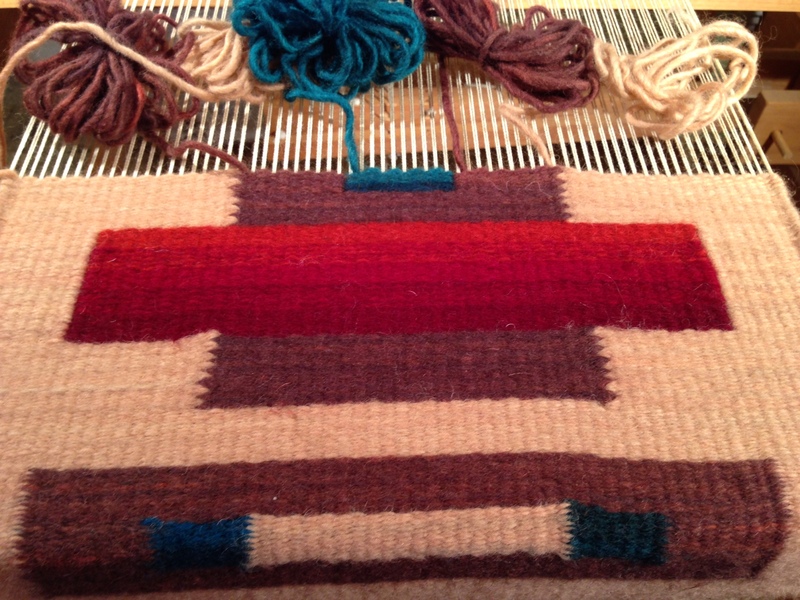 When the weft is placed correctly, it is not seen at all, except at the selvedges. 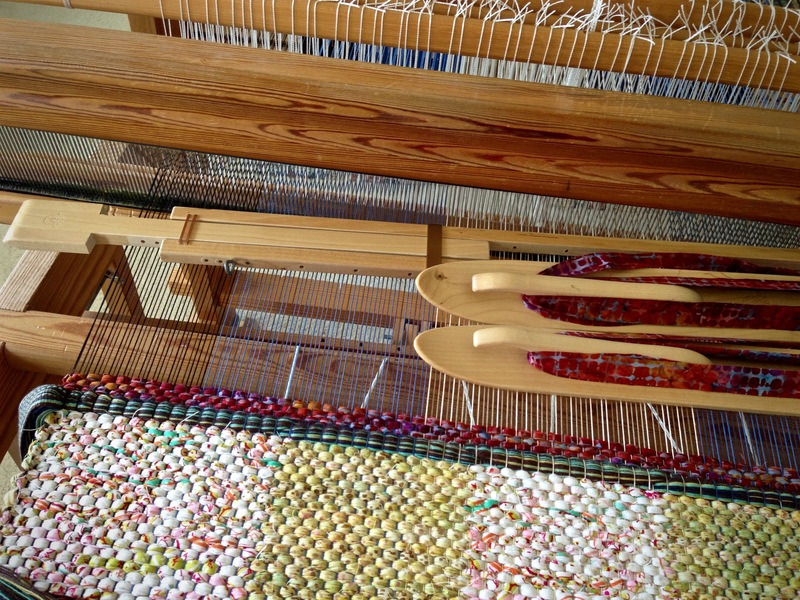 And even then, when the weft is the same color as the outermost warp end, as it usually is, the weft thread blends in and is virtually invisible. Four strands of aqua cottolin (cotton/linen thread) are threaded together to form the “dots” in the center of the woven band. 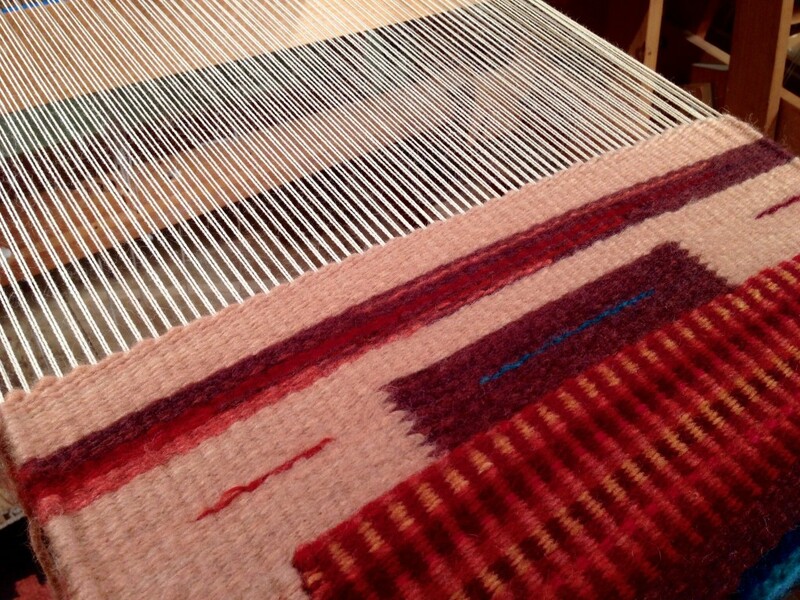 Brown weft matches outer warp ends. 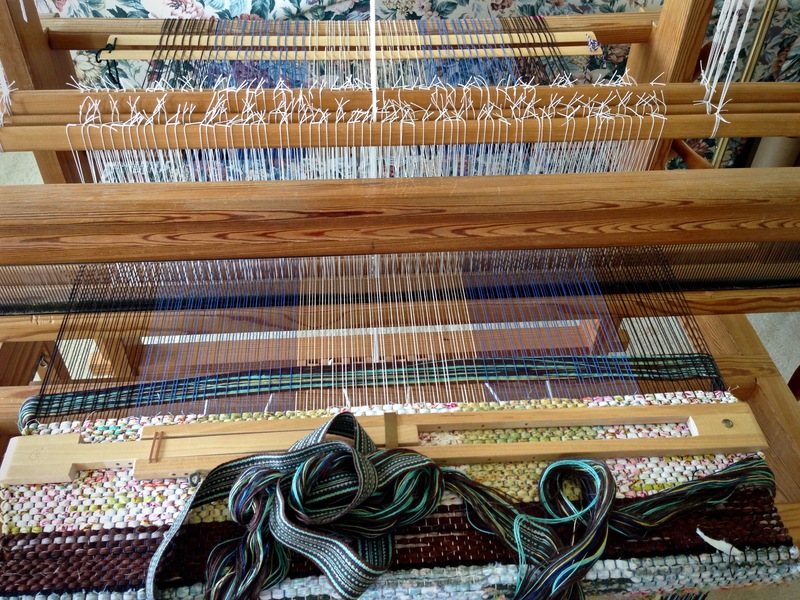 Glimåkra two-treadle band loom. 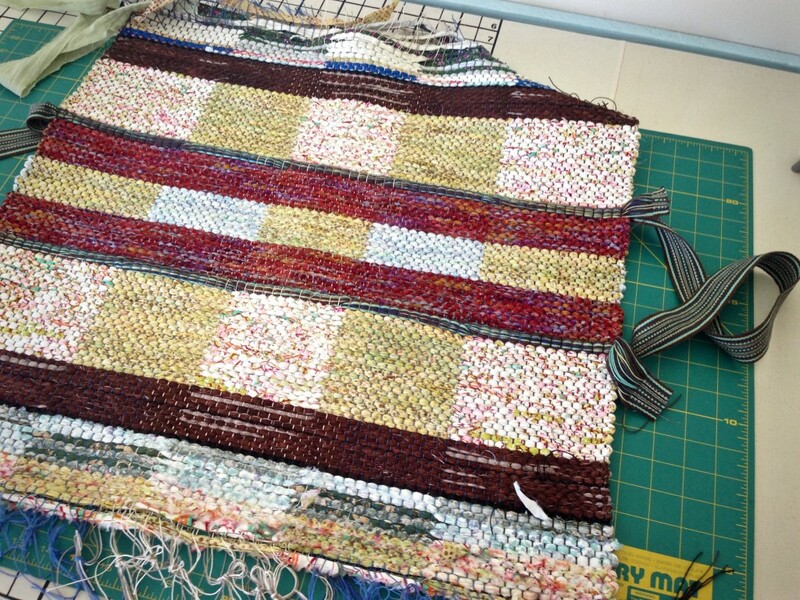 The weft is doing its best job when it remains out of view. 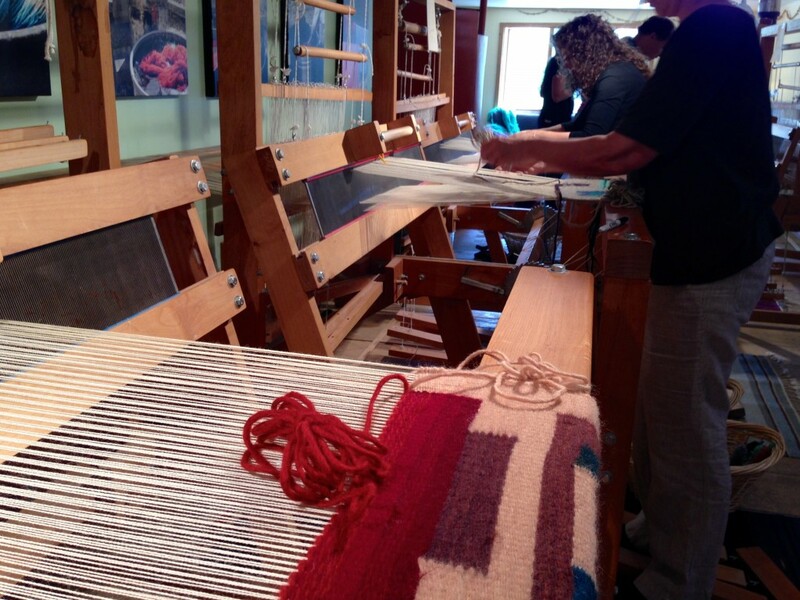 You could say the weft’s purpose is to make the warp look good. 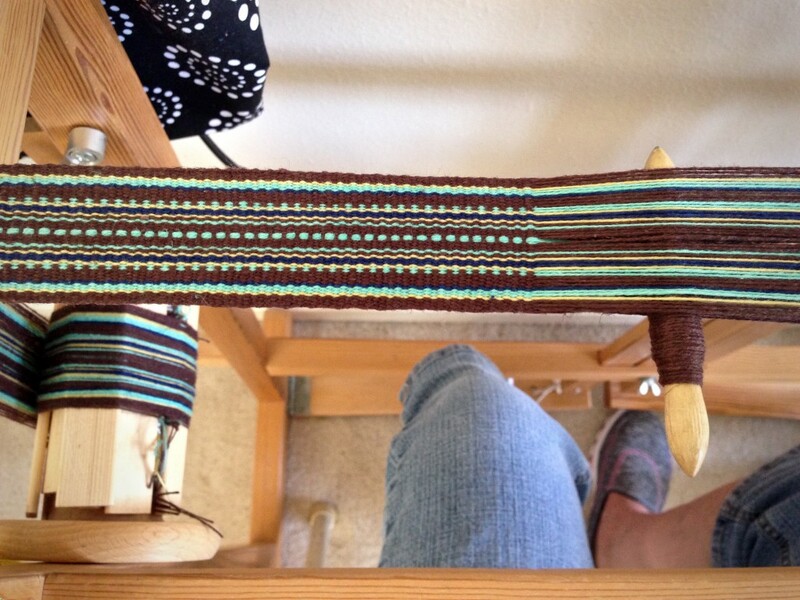 Consistency is the hallmark of a high quality woven band. 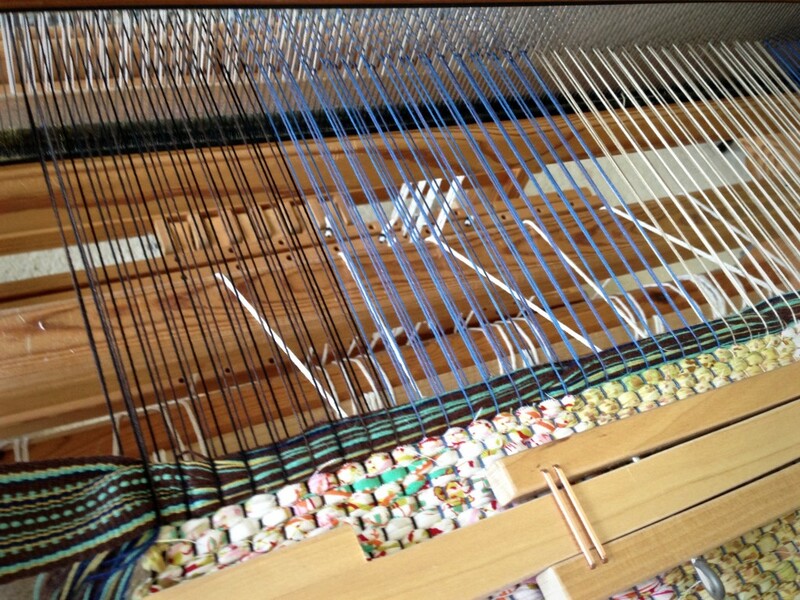 I aim for that by pulling the weft snug, but not too snug, on each pick. 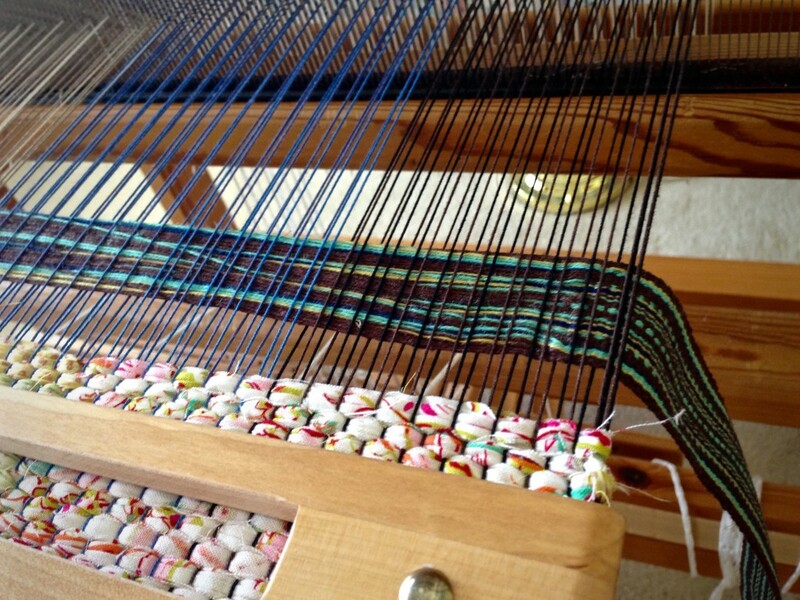 If the weft thread is visible between warp ends, it’s a sign that the weft is not properly placed. Humility is the hidden weft that holds relationships together. Humility preserves relationships. We must never let selfish ambition or conceit be our motivation for anything. “Me first” has no place in healthy relationships any more than weft is meant to be seen in warp-faced weaves. We are at our best when we make those we love look good. May you know when to stay out of view. Excellent, excellent analogy! I will be thinking of this often. Now a question. 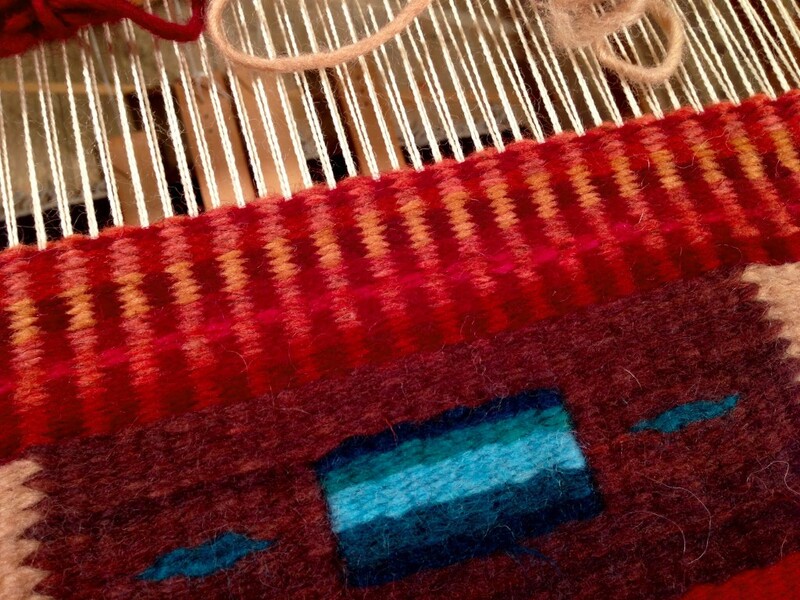 Since you sit at the side of this loom so you can’t see the tape from the end, how do you maintain an even width? Colleen, That’s a great question! The first answer is practice, practice, practice. Secondly, some people advise measuring the width frequently, or using a template to measure as you go. I do neither. I strive to pull the weft just right, and get the “feel” of it. Not very scientific, but the more I practice, the more even my bands become. Linda, Thank you for your kind words. What is your experience with linen? I know weavers who love it, and others who completely avoid it. Linen has remarkable qualities. Strength, durability, natural beauty. 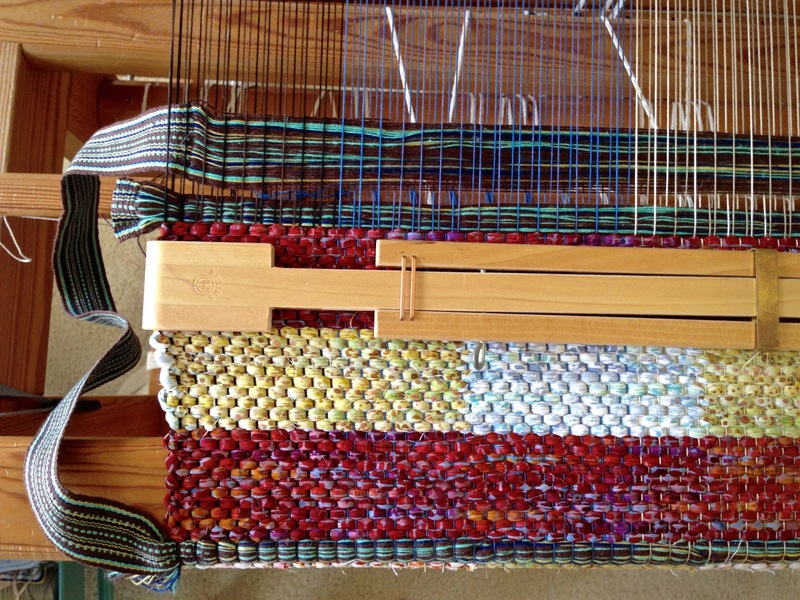 It took me several attempts, though, to become comfortable using linen as warp. Linen has indeed given me more than my share of broken warp ends! But truly, those struggles have been part of the learning process. 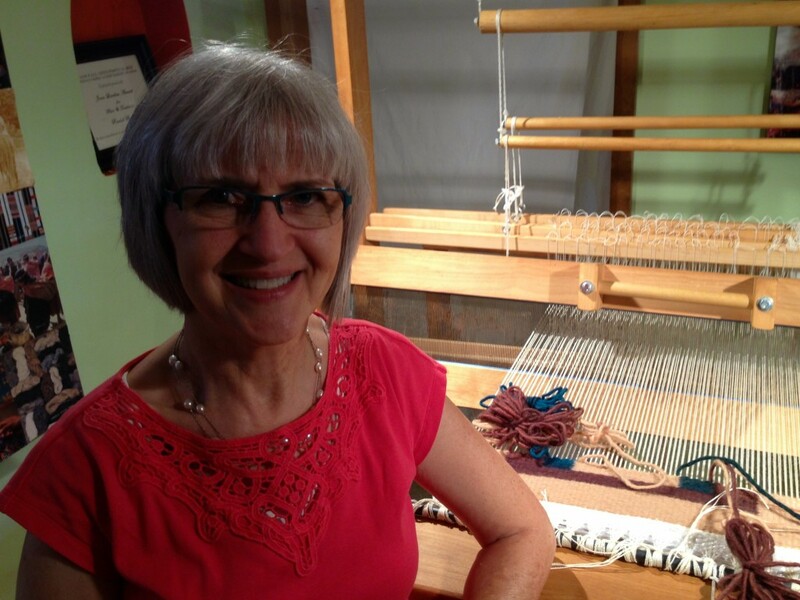 The more I weave with linen, the more I love this natural fiber. I am beginning to understand how to work with it, instead of against it. 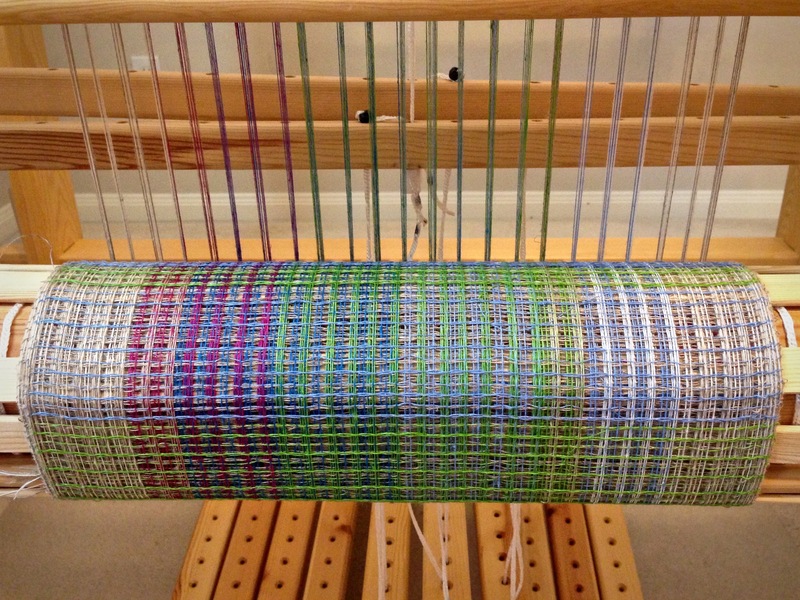 In fact, weaving these lace-weave scarves with single-ply linen warp and weft has been a joy. And only two broken selvedge ends this time! Linen lace-weave scarves as seen on the cloth beam. Fringe between the scarves is left unwoven. 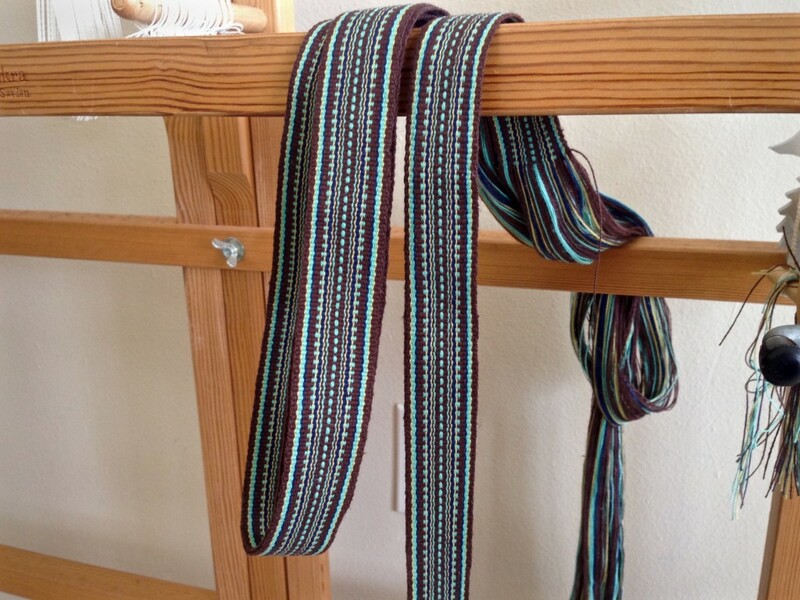 The separated stripes are caused by the hemstitching at the end of one scarf and at the beginning of the next one. It takes effort and experience to understand some things. The love of Christ is like that. The love of Christ is extraordinary. It takes inner determination to discover the beauty of this unconditional love. Some things are simply worth the effort. Love your colors. Can you post a picture of the finished product? Yes, Carolyn, I will be happy to show the finished pieces very soon!